The three teams shortlisted for the Gordie Howe International Bridge project have now been issued with a request for proposals (RFP) for the new crossing between the USA and Canada. The Windsor-Detroit Bridge Authority (WDBA) has invited the three to submit formal proposals to design, build, finance, operate and maintain the scheme. The project includes four components – the Canadian and US ports of entry, the bridge over the Detroit River between Windsor in Ontario and Detroit in Michigan, and the Michigan Interchange connecting to Interstate-75. The 18-month RFP stage is the second phase in WDBA’s competitive procurement process to select a private-sector partner. The three proponents – Bridging North America, CanAm Gateway Partners and Legacy Link Partners – were prequalified through the request for qualifications (RFQ) stage in January this year (link opens in new tab). 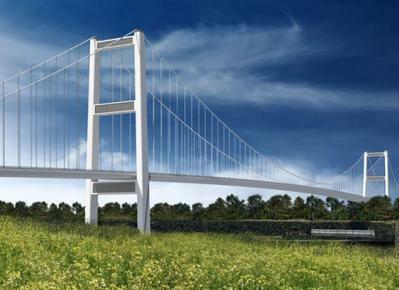 The six-lane bridge will have a clear span of 850m and a total length of approximately 2.5km. 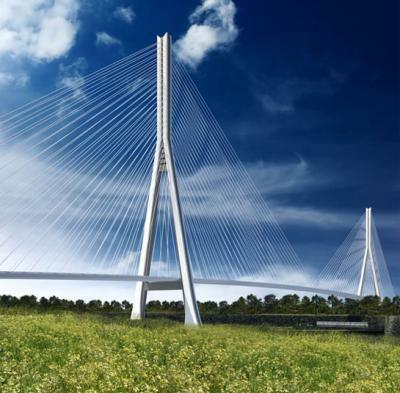 Conceptual designs have been produced for both suspension and cable-stayed options. The RFP sets out the conditions and specifications required to deliver the project. The proponents will prepare and submit their binding technical and financial proposals, including a fixed price and schedule. Each proposal will then be evaluated and a preferred proponent will be identified. Subject to reaching financial close and to appropriate approvals, this proponent will become WDBA’s private-sector partner.